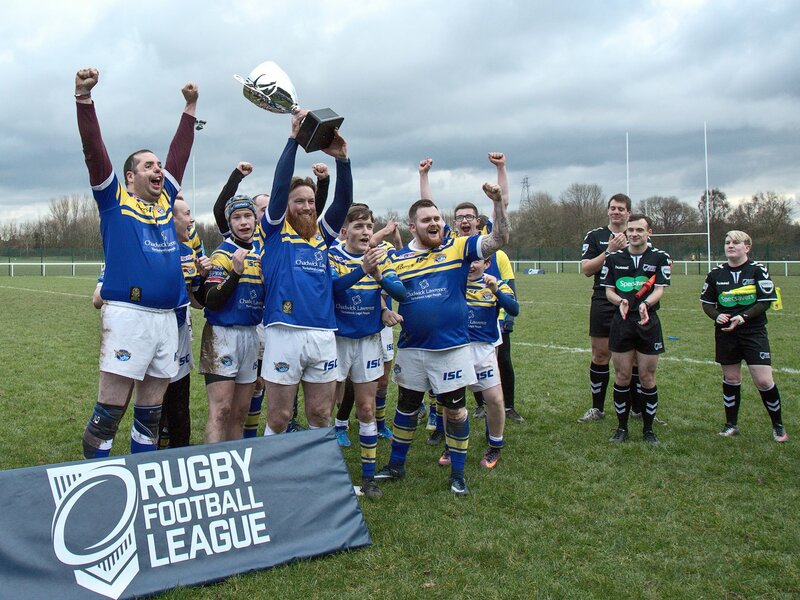 History was made on Sunday 14th January as the UK’s first-ever Physical Disability Rugby League match took place. Leeds Rhinos took on Warrington Wolves at Victoria Park in Warrington. Denton Arnold was appointed as Touch Judge for this historic event. An estimated crowd of over 1,500 turned out for the match, which saw The Last Leg hosts Adam Hills and Alex Brooker turn out for each team. Leed Rhinos took the win, beating Warrington 22-10. The teams are expected to go head to head again in Summer for a reverse fixture held at Emerald Headingley Stadium. Denton was appointed alongside Nick Woodward (Referee), Becky Solan (Touch Judge) & Dom Breslin (Reserve Referee) of Warrington RLRS. Leeds Rhinos lift the trophy after beating Warrington 22-10 | Photos taken by Warrington Wolves.